World of Tanks is getting it’s own Comic. Firs issue will be out August 31, both in comic book retailers and digitally at darkhorse.com. This hard-hitting story, written by Garth Ennis (Preacher, War Stories, The Punisher), is a historically-based war tale, skilfully illustrated by the renowned Carlos Ezquerra (Judge Dredd, Strontium Dog, War Stories Vol. 2). Each issue is wrapped in the epic cover art of Isaac Hannaford (Halo: Reach, The Punisher) and is bursting to the seams with explosive action. 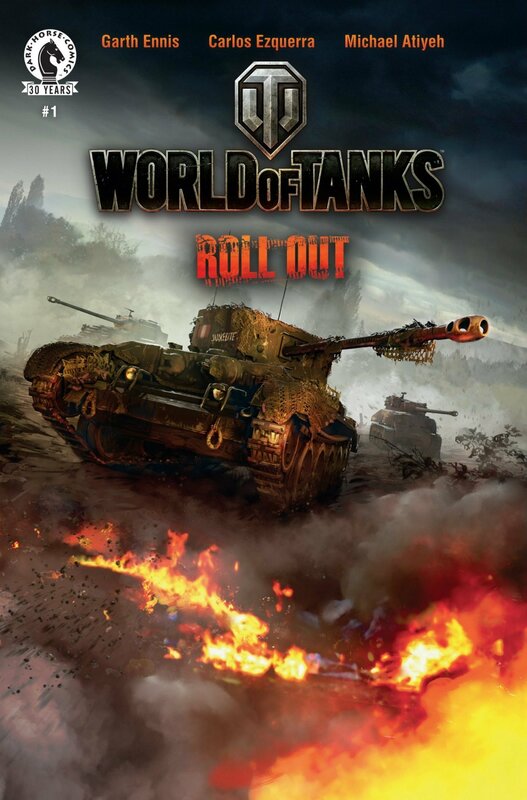 don’t forget that console world of tanks also is able to buy the tank from sept 1st till sept 15th. and it comes with a special skill snakebite Improves your gunner’s accuracy by reducing dispersion by 5% when fully trained. (Skill more effective when combined with Vertical Stabilizer, Snap Shot, Smooth Ride).